Since launching Empty Arms, my favorite “writerly duty” has been attending book club meetings with groups that have read my book. While it’s nice to have avid readers pay attention to (and compliment) your work, for me the experience goes much deeper than that. 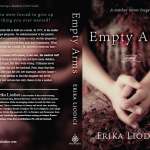 During the three years it took me to write, edit, and publish Empty Arms, I was perpetually curious how readers would feel about certain characters and plot twists. I wondered how they’d react to my writing style. Attending book club meetings has given me the opportunity to get inside readers’ minds, hear their feelings and reactions, explore what they liked and what they didn’t, assess if I did my job as a writer, and understand how I can improve. At this stage in my writerly journey, I feel that book clubs are one of the most beneficial (not to mention, rewarding) activities I’m doing (outside of writing my next book). So today I thought I’d share my best practices for finding the right book clubs, getting your book selected, and participating in their discussion. Step 1: Make sure your book has a Reader’s Club Guide. A Reader’s Club Guide is a set of questions located in the back of your book that reading groups can use to facilitate their discussions. I think a Reader’s Club Guide is important to offer because it lets book clubs know that your book has something especially for them, thereby increasing the odds that they’ll select it. Plus, it gives you, the writer, an opportunity to shine a spotlight on certain facets of your storyline that deserve deeper exploration than readers may have realized at first pass. Develop open-ended questions (that is, questions that don’t have a clear cut YES/NO answer). Create questions that have no right or wrong answers and require some reflection. Dig into the motivations and experiences of your characters. What makes them act the way act? How do they change and why? Don’t be afraid to put the reader in your characters’ shoes to find out how they would act in certain situations. Is your book already published without a Reader’s Club Guide? Don’t worry! You can post your Reader’s Club Guide as a downloadable PDF on your website until the next version of your book is released. Step 2: Identify the right book clubs. Visit Meetup.com and search for “book clubs” in your zip code and surrounding towns. Check out the Groups listed in the Community section of your local Craigslist. Ask your local librarian or book store manager. And, of course, there’s always a good old-fashioned Google search. You can also search for book clubs based on topic. For example, Empty Arms explores teen pregnancy, adoption, infertility, and motherhood. Based on this, I’ve found that “Mom” book groups are very receptive to reading my novel (and getting out for a night to discuss it!). 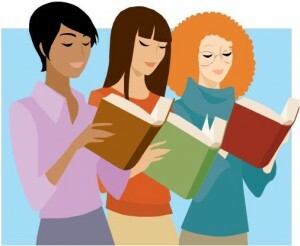 Book clubs typically offer a description of their group and the types of books they read. By determining if your book fits their interests, you will increase the odds that they will select it. Contrary to popular belief, you don’t have to wait for book clubs to contact you. Instead, you can reach out to them. Send the group leader an e-mail and introduce yourself as a local author, tell him or her about your book and why you think it might be of interest to the group’s members, and ask if they’d like to read it and allow you to join them for a discussion. It’s typically pretty rare for book clubs to have an author join them in person, so this proactive approach can give you a leg up in getting your book chosen. And with our wonderful world of technology, you don’t have to limit yourself to local book clubs. Through the (free) magic of Skype’s video-to-video calling, you can attend far-off book club meetings virtually. (Visit Skype.com for an overview of the service and hardware requirements). Or, if Skype is too overwhelming, you can always use a telephone (remember those?). Step 4: Be prepared, but also be flexible. When preparing for the actual meeting, keep in mind that the book club probably gets together on a regular basis and already has an established way of doing things. Don’t show up and steal the show. Instead, arrive armed with questions that you would like to discuss, but be ready to “go with the flow”. From my experience, some groups are very formal and others aren’t. The ones that are will have a group leader who facilitates the discussion and keeps the conversation on track. If this is the case, listen thoughtfully as people express their opinions, and chime in with helpful insights that add depth to the conversation. Other groups may look to you, the author, to lead the conversation. Don’t expect to get through all of the questions in your Reader’s Club Guide (unless you plan to be there until the wee hours of the morning), instead, have a few specific questions selected before the event and allow everyone plenty of time to chime in. As for the groups with no formalities or structure, it will be up to you to stealthily keep the group on track. By having some questions in mind beforehand, you will be able to steer the conversation back to your book or save the group from an awkward lull in the conversation. No matter how formal or informal the discussion may be, it is likely that the group will want to know more about you, the person and the writer. 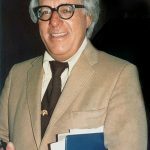 Be prepared to reveal your favorite book (no, it should not be your own! ), when you knew you wanted to be a writer, the inspiration behind your book, how long it took you to write it, your writing process, your journey to publication, and your personal interests. Though you’re technically there to discuss your book, people are naturally going to be curious about you, so give them the chance to get to know the person behind the words. If you are invited to share a seat at a book club’s table, it goes without saying that you will respect the thoughts and opinions of the group…even if they’re negative. While it can be difficult to have your work criticized, you must keep your cool. Instead of getting defensive over a negative comment, try probing deeper to understand why the person felt that way. I once had a person tell me that Empty Arms made her incredibly angry. My gut reaction was that I’d somehow botched up my research and offended this woman. But before getting all bent of out shape, I asked her what it was that made her so angry. She told me that the story was so accurate that it made her relive her own painful experience of being forced to surrender her baby for adoption and she was angry about the abuse and neglect she endured as a young woman. The moral? Listen with an open mind. Do you have any book club best practices? If so, please share! I am thrilled that people are connecting so much with Empty Arms. It is a great novel. My mom read it after me and cried as much as I did. Sad tears and happy tears. I wish every author did book club questions at the end. I hear ya about the book club questions. Even though I’m not a member of a book club, I always like reading the questions at the end and reflecting on what I’ve just read. This article comes at a perfect time as I’m attending my first ever book club as an author and I’m equally excited and nervous. Your tips really helped me figure out my role and how to make the experience enjoyable for the group. Wish me luck! So glad my post found you at just the right time. Good luck with your event! !